Professor Kelly received his B.A. from Chapel Hill; spent two years on a Fulbright in France studying musicology, chant, and organ. He holds a Ph.D. from Harvard (1973) with a dissertation on office tropes. He has taught at Wellesley, Smith, Amherst, and at Oberlin, where he directed the Historical Performance Program and served as acting Dean of the Conservatory. He was named a Harvard College Professor in 2000 and the Morton B. Knafel Professor of Music in 2001. Professor Kelly's main fields of interest are chant and performance practice. 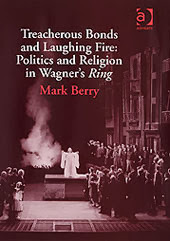 He won the Otto Kinkeldey Award of the American Musicological Society for The Beneventan Chant (Cambridge University Press, 1989). Other books includeFirst Nights: Five Musical Premieres, (Yale University Press, 2000) and First Nights at the Opera (Yale, 2004). He is a member of the American Academy of Arts and Sciences, an Honorary Citizen of the city of Benevento, and a Chevalier de l'Ordre des Arts et Lettres of the French Republic.